Having a tree removed is never fun, and often very costly. 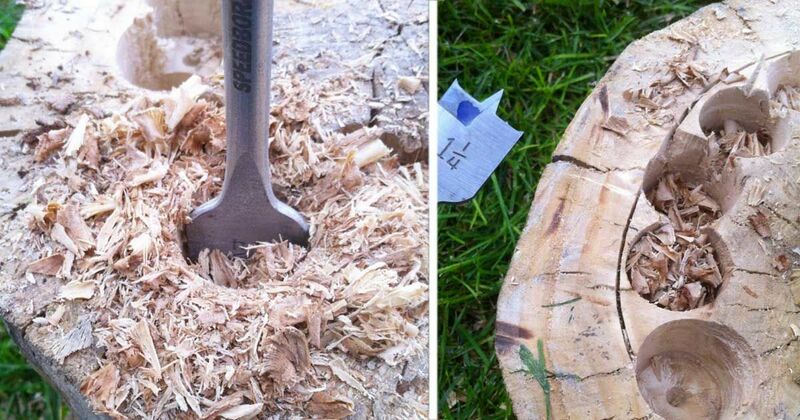 While many companies will remove the cuttings and the stump, they may charge an extra fee. Rather than have them take away all that wood, here are some fantastic ways to put it to use in your yard while saving you some money. With a little elbow grease and some potting soil, you are on your way to a stunning make-over that can last many seasons. You don't have to be a carpentry expert to make these stunning planters. 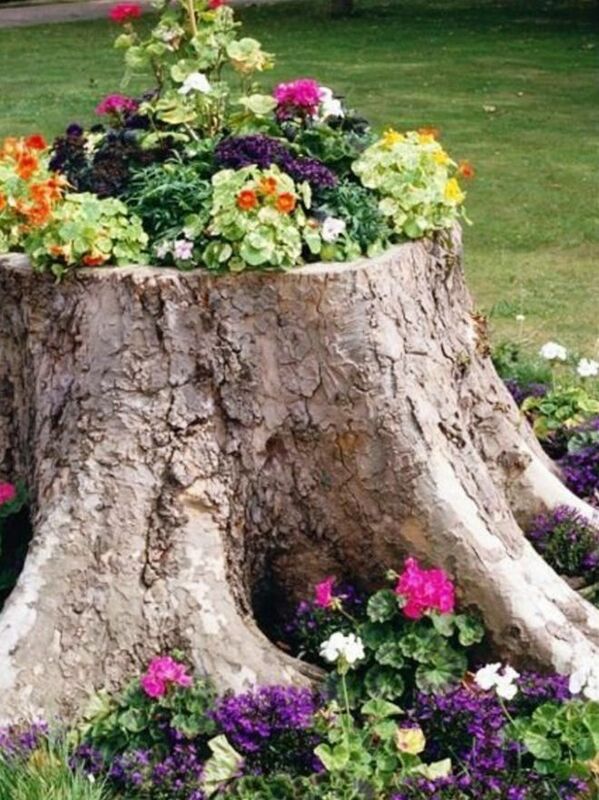 The stump of a tree can easily be turned into the highlight of a yard, and a perfect way to remember a tree that may hold sentimental value but had to be removed due to hazardous growth. This Old House recommends digging out the center but leaving at least 3 inches for the outer border of the stump. Be sure also to drill drainage holes outward from the hole at a downward slope. Then fill as you would any large planter. Over years, the stump will eventually deteriorate. The trunks and large limbs can also become stunning planters. 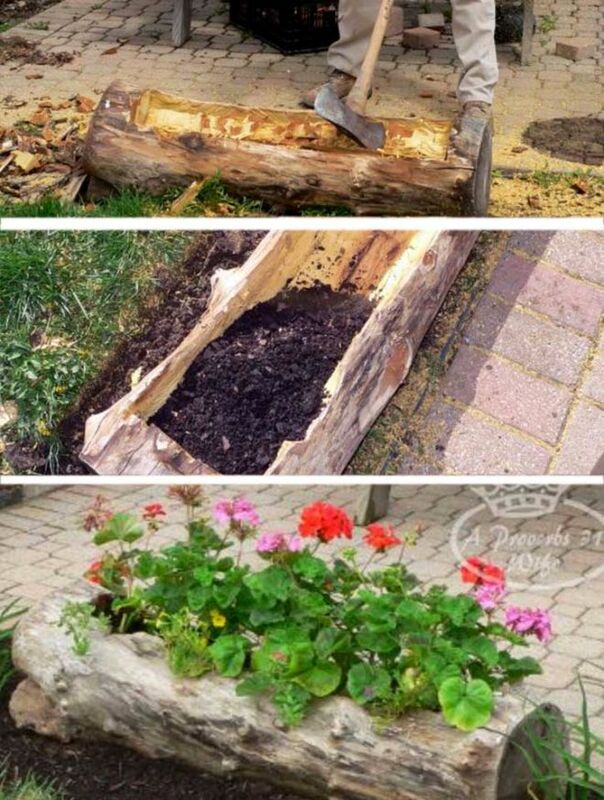 Kendra of A Proverbs 31 Wife shared how she and her husband turned a log into a beautiful long planter box. The log can be hollowed with an axe and chainsaw, and planted with whatever flowers suit your fancy. When asked about the lifetime of the planter, Kendra writes, "This is the 3rd summer I’ve had it and the underside is beginning to show a little rot, but still very solid and I expect to get another 3 years at least out of it." 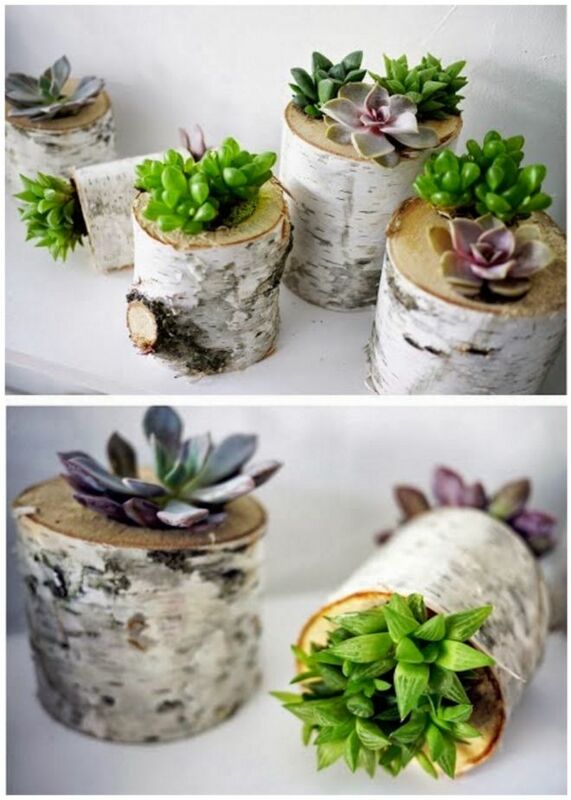 Gail turned smaller pieces of rotting wood into beautiful succulent planters. She used wire mesh to close off the bottom and in a stroke of genius, lined the inside with a piece of the potting soil bag. Add some plants and sheet moss, et voila! You have a darling planter that is perfect indoors or out. You can see Gail's full instructions on her blog, My Repurposed Life. This chic alternative is a way to turn that log into a permanent indoor pot. 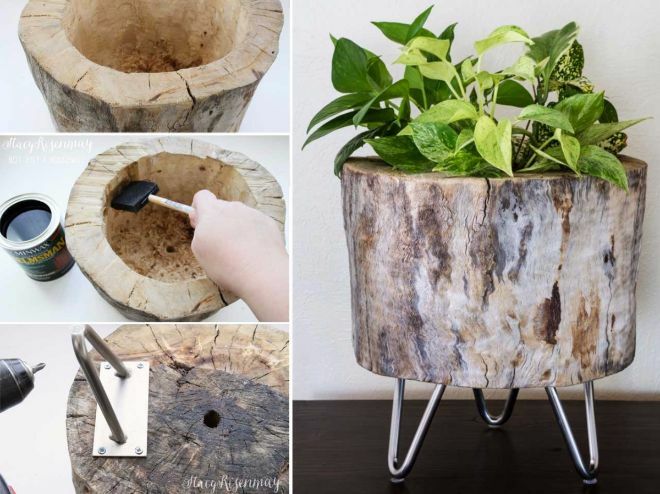 Armed with a can of sealant and a few inexpensive legs, Stacy Risenmay turned a short log into a planter that could easily pass for an expensive home decor item. You can see her full walkthrough on her blog, Not Just a Housewife. Succulent gardens in hollowed out logs, and also in timber rounds, available from the Succulent Guy at the Byron Bay Beachside Market - Easter Saturday 26th March. Whether looking for a polished finish or a more rustic look, stumps, logs and branches make great planters. Try making smaller planters as outdoor centerpieces or as give-aways at your next gathering. We love this idea for repurposing wood that would otherwise just get chipped. What do you think? If you are eager to try this DIY project, be sure to SHARE it with your friends.